There is nothing more comforting than coming home to a cozy, fabulous, well-decorated space. Whether it be a great piece of vintage furniture, a colorful rug, a curated bar cart or a fabulous gallery wall full of favorite memories, I love finding new and interesting pieces to furnish my home with. Here are a few tips on how to keep a stylish home on a budget. Don’t be afraid of color and texture or mixing and matching furniture pieces from different decades! To create a perfect living room space, below are all the essentials you need. And the best part is, nothing costs more than $530. If you were to decorate your space with one item from each category, your decorating budget would still be under $2,500! Following his studies in London under Vivienne Westwood and Alexander McQueen, Christian Siriano launched his eponymous collection in 2008. The Christian Siriano collection is now shown each season at New York Fashion Week, and presented in New York and Paris to retailers. Known for whimsical and showstopping design – from fantasy evening gowns and cocktail dresses, to tailored sportswear, to intricately detailed shoes and accessories – the collection can be found at Neiman Marcus, Bergdorf Goodman, and other department stores and specialty boutiques around the globe. 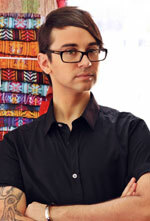 In 2012 the first flagship Christian Siriano store opened on Elizabeth Street in New York City, and in 2013 he was inducted as a member of the Council of Fashion Designers of America (CFDA). Siriano counts the world's leading ladies as clients, from stars of film (Gwyneth Paltrow, Hilary Swank, Sarah Jessica Parker, Jennifer Lopez, Shailene Woodley, Patricia Arquette, Emily Blunt, Sharon Stone) to icons of music (Rihanna, Lady Gaga, Taylor Swift, Solange Knowles, Nicki Minaj, Carrie Underwood) to stars of television (Tina Fey, Lea Michele, Emma Roberts, Christina Hendricks, Heidi Klum, Allison Williams, Oprah Winfrey, Edie Falco) and darlings of fashion (Victoria Beckham, Alexa Chung, Dita Von Teese, Kate Upton, Olivia Palermo, Coco Rocha), to name just a few.